Fill out these quick questions to receive a free estimate for the cost of installing solar panels on your home, as well as the predicted Feed in Tariff earnings and your electricity bill savings. Use our System Builder to design a solar PV system that suits your needs and budget. Select the products that you prefer and we will produce an estimate of the cost of installing the system on your home. We have chosen only to use the best quality products from those manufacturers and suppliers that we know and trust. We’ll make the calculations and send you your free estimate as soon as possible. 2. What is your roof orientation? 3. Is there any shading? 4. What size solar panel system would you like? [su_tabs][su_tab title="Standard"]The Axictec 250W panels are a fantastic example of high quality at a budget price. Axitec are a German brand offering some of the best warranties on the market. These panels are polycrystalline with blue cells, white backing and a silver frame. For our Standard systems I am careful to avoid ‘Budget’ panels. There are cheaper panels available on the market, but I believe that you reach a certain point where the quality where quality is scarified to squeeze prices. 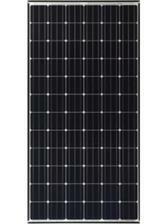 [su_tab title="Premium"]Offering all the benefits of the polycrystalline 250W, the Black Premium monocrystalline panels combine excellent performance, components and aesthetics. These panels are monocrystalline with black cells, black backing sheets and black frames. As the cells are monocrystalline, they have a uniform appearance that can’t be matched by polycrystalline cells. Although not offering a significantly higher performance than they Standard panels option, these premium panels will provide an array that is uniform and neat on your roof top. A solar photovoltaic system is a significant investment and it is worth choosing something that you would be pleased to see every day. Other options are available with white backing sheets and black frames. Take a look at some panel images and let me know your preference. [su_tab title="Superior"]The construction technology of Panasonic HIT® solar modules is innovative and different from conventional designs. They achieve a higher cell efficiency, which means more energy per square meter. With a Module efficiency of 19% and a cell conversion efficiency of 21.6 %, the HIT®-N240W series ranks high on the level of efficiency in the market. With its very low temperature coefficient of only -0.29%/°C, the HIT® solar cell offers better performance than conventional cells in normal operating conditions. 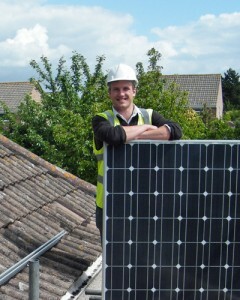 We are Panasonic Solar Premium Installers, having utilised these modules on many of our projects. I can highly recommend them. This month (September 2014) Panasonic announced a new European record low claim rate of 0.00381% on it’s Solar panels. 3.5 million HIT panels have been sold across Europe since 2003 with only 137 having claim made against them. These panels are reliable, robust and have a track record of excellent performance in all weather conditions. As such it’s easy to understand why these panels are offered as our Superior range. 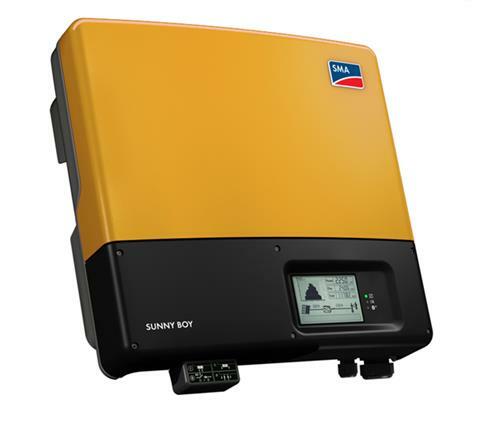 [su_tabs][su_tab title="Standard"]Samil inverters are manufactured in China and have rapidly gained a strong UK presence . These inverters have a lot going for them. Their IP65 rating ensures that they can be mounted in most locations (indoor our outdoor). The 3680TL offers a high maximum efficiency of 97.6%. In addition, Samil offer an industry leading 10 year warranty on all of their Solar River range as standard. So why is it part of the standard system? 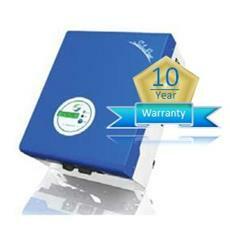 The inverter offers excellent performance at a good price, but certain features are not included as standard. For example, although monitoring software is available free of charge, you will require additional components to monitor the inverter from your computer. SMA inverters have some clear advantages in technology that their competitors are yet to match. Active cooling is achieved with Opticool technology. Not only does this prevent the derating of the inverter due to high temperatures, it does so without the need for additional cooling fans etc, thereby reducing the parts that can go wrong. OptiTrac Global Peak offers advanced shade management, without the requirement of individual panel micro inverters or optimisers. Greenleaf Innovations are SMA Advance Installers and our teams have undertaken additional training with SMA in order to get the most out of their inverters. 7. Would you like a roof or ground mounted system? Thank you for submitting your form. Chris will contact you with your free estimate as soon as possible.